Using our proprietary Total Component Management™ service we ensure that our customers receive complete, assembly-ready kits when and where they are needed. With Paragon VMI material resources are located line-side, at our customers premises, in an 'assembly-ready' or 'machine ready' format, delivering instant access to components. Our in-house test laboratory is equipped with the latest equipment including specialist electronic component X-ray systems dedicated to performing stringent inspection and test services. Paragon's obsolescence management strategies employ regular monitoring of the lifecycle status of electronic components to help us future-proof our customers' component purchases. 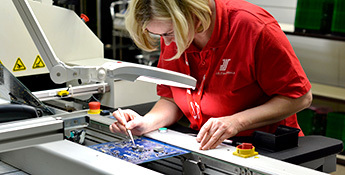 Whether through hole (conventional) or surface mount (SMT) assembly, our experts at JJS Manufacturing can assist you on prototyping, as well as volume manufacture of complex, multi-technology PCB assemblies. 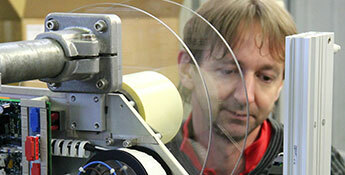 JJS has considerable expertise in setting up flexible "lean lines". These provide a total turnkey manufacturing environment for highly configurable, complex, "box build" solutions, to meet any requirement. Our sister company, JJS Manufacturing, has its origin in custom cable and wiring loom assembly; from simple point-to-point cables and straightforward looms to multi-component assemblies and complex looms. Our control cabinet service allows for complete integrated rackmount solutions to be built against specifications and technical drawings, from prototypes to full production requirements. 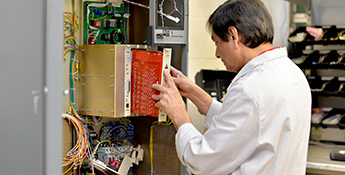 For over 30 years JJS has held a high level of proficiency in electro-mechanical and non-electronics based precision mechanical assembly techniques.